We employ the best digital cameras to capture high-resolution images and 5k video. Most of the mapping we perform is done by photogrammetry – a method in which Geographic Information Systems (GIS) are acquired from still image overlap, resulting in rich data for aerial mapping and models of large areas. Cost-savings From Improved Efficiencies. Improve logistics operations by reducing the average time it takes dispatchers to create routes for delivery trucks. Imformed Decision-making. Making correct decisions regarding real-estate site selection is a key strategy to the success of any organization. Enhanced Communication. 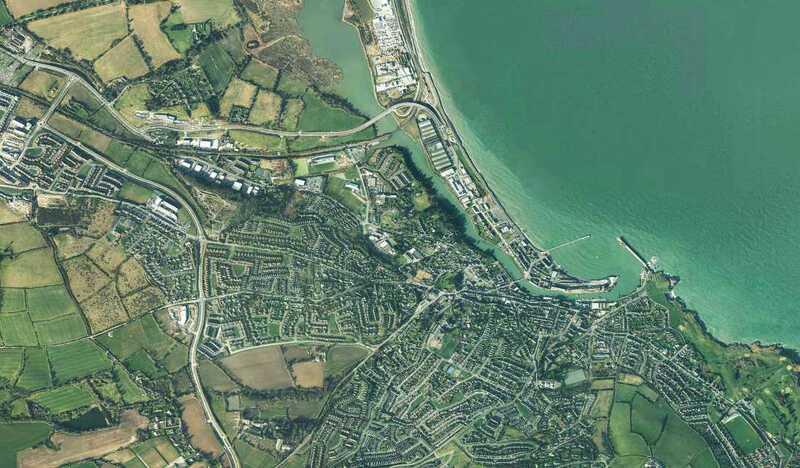 GIS Mapping Services deliver rich maps and visualizations to provide better story-telling. Improved Geographic Information Logs. For organizations that are responsible for maintaining records of fluctuations in geographic regions (known as geographic accounting). Light Detection and Ranging (LiDAR) is a remote sensor photogrammetry solution that uses light in the form of a pulsed laser to measure ranges to the Earth. Differences in laser return times and wavelengths can then be used to make digital 3D representations of the target, whether that be a bare-earth or structure. Thermographic cameras allow us to capture imagery using infrared radiation. Instead of normal cameras that capture a range of visible light, infrared cameras operate in long wavelengths to provide insight into the “thermal” signature of a target. 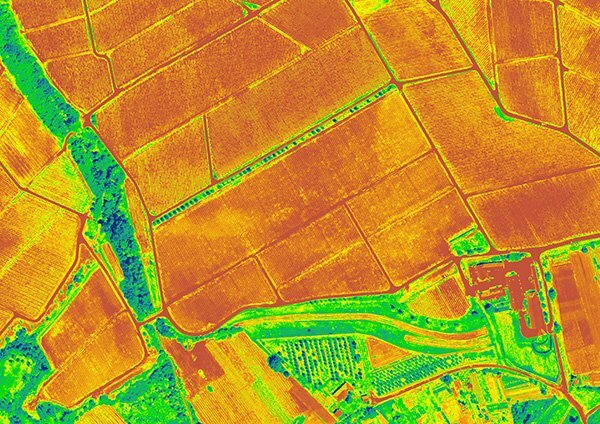 Advances in thermal cameras now allow us to perform aerial surveys, producing large thermal maps for analysis. We employ the best digital cameras to capture high-resolution images and 5k video. Some of the various visual formats of imagery taken using our Drone Technology include: Obligue Photography, Vertical Photography, Orthophotography, and a Combination of two or more. Multispectral sensors allow us to measure reflected energy within several specific sections of the electromagnetic spectrum. Think of it as being able to see things beyond what the naked eye can see – near infrared, bands of green, red and blue. It can give us insight into tree health in a forest or if there are minerals present in an exploration site. Hyperspectral sensors are similar to multispectral, except they can measure reflected energy 100x more sensitive, providing a continuous spectral measurement across the entire electromagnetic spectrum, and therefore are more sensitive to subtle variations in reflected energy. They have a great potential to detect subtle differences among land and water features. For example, while multispectral images can be used to map forested areas, hyperspectral images can be used to map tree species within the forest. This is a highly effective component for GIS mapping. Normalized Difference Vegetation Index (NDVI) quantifies vegetation by measuring the difference between near infrared (which vegetation strongly reflects) and red light (which vegetation absorbs). NDVI is a standardized GIS mapping tool to measure health vegetation. Farmers are now using NDVI as a common tool for precision farming to measure biomass. Foresters use NDVI to quantify forest supply and leaf area index. Advanced detection, classification, analysis, and recommendation capabilities driven by high-performance algorithms and intelligence at every step. All of our processed imagery, videos, and models are hosted in a secured cloud, providing visualization regardless of software. Easily view, annotate, download or share data sets to all project stakeholders. Data normalization concerns the engineering of data to cleanse, enhance, fuse and restore it from adverse and diverse conditions of the environment. Data preparation concerns orchestrating the data through enriching, blending and refining it to ensure that its state is compatible to further analytic processing. AI Modeling is the building and development of integrated processing algorithms and analytics in both ad-hoc and learning-based forms for use in real-time inferencing. Inferencing is the deployment and execution of an extensive library of data processing algorithms and analytics on real-world data. To enable discovery of emerging patterns. Data analysis, sometimes referred as high-level analytics concerns the synthesizing of inferred results into drawing meaningful insight to enable business intelligence. Visualization of data and analytics deals with organizing processed data and results of data analytics in a manner that enables easy management for situation awareness.